1 Bo Chancey Famous Sayings, Quotes and Quotation. Authentic disciples love God, love people, and reproduce spiritually. 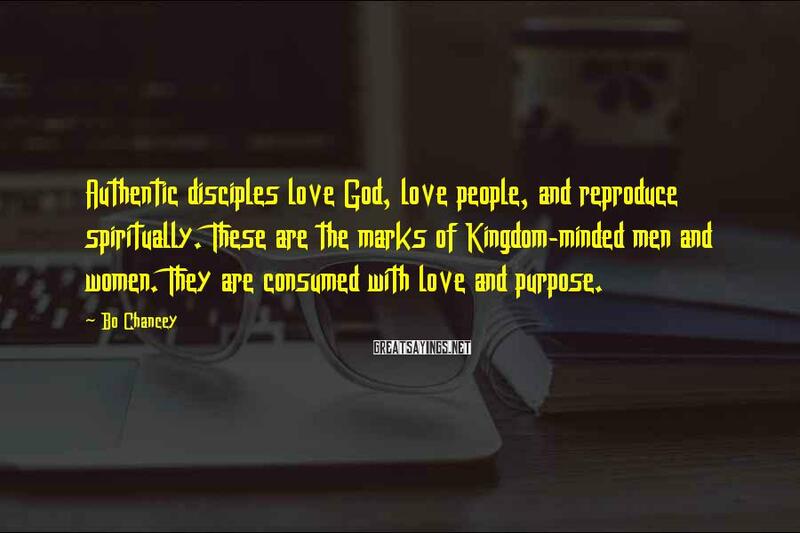 These are the marks of Kingdom-minded men and women. They are consumed with love and purpose.